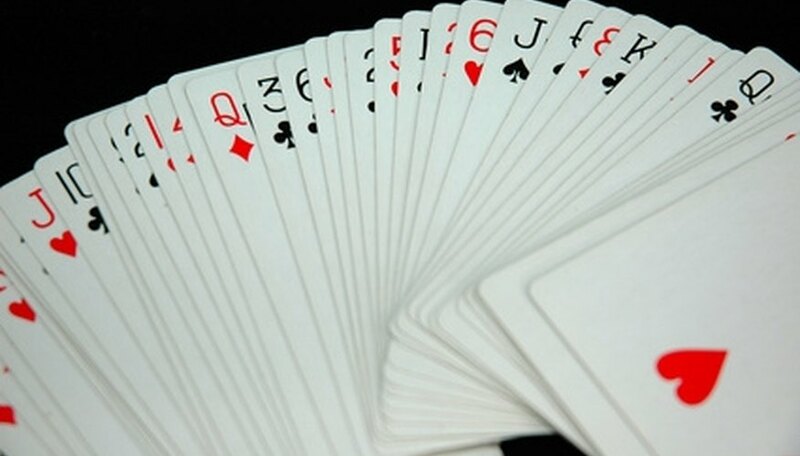 Spider solitaire is played with two standard decks of playing cards laid out in 10 columns. Your goal is to arrange the cards in suit in descending order to remove them from the play area. Each card can only be moved into an empty column or onto a card whose value is one higher. In computer versions of spider solitaire, you receive a score, and every move you make lowers your score. Employing certain strategies can help you solve spider solitaire in the fewest possible moves. Plan several moves ahead. Use the game's hint feature to see all of the available moves, then plot out how each move will alter the card layout before you move any cards. Choose moves that will give you the greatest number of sequential cards in suit and allow you to flip over face-down cards or clear out columns. Follow suit whenever possible. An entire column of sequential cards of the same suit can be repositioned as a whole while only counting as one move, reducing your move count over the course of the game. Create out-of-suit sequences in columns that do not contain in-suit sequences to keep the in-suit piles free to move around. Avoid creating columns that are too long and burying cards that you need to complete a suit in a lengthy column. Clear all of the cards from a column to gain more maneuverability. Work to remove the cards from the six rightmost columns, as they contain one fewer face-down card than the remaining four columns. Avoid the "Undo" button; many computer versions of spider solitaire include "undo" moves in the total move count.